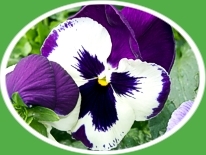 Thank you for your support of Dehn’s Garden. We have been at the Minneapolis Farmers Market for 32 years and appreciate all of our customers, both at the Farmers Market and at the grocery stores. As a company that has always attempted to grow and produce in a natural and chemical free method, we also took to heart our winter production practices. There are many difficulties with growing year round in Minnesota and its changing climate. We came to the conclusion that it was wasteful for us to operate our greenhouses in the winter months, with concerns for excessive natural gas and electricity use. We felt it was important for us to reduce our carbon footprint by closing down in the winter. 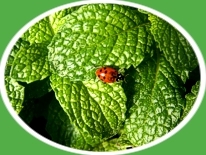 We have licensed a capable and responsible herb company to package fresh herbs for the grocery stores. They are in the forefront not only as responsible growers, but also in food packaging and food safety. We have requested that they use domestic product when ever possible, but due to extreme weather conditions throughout the United States it is not always an option. They seek out the highest quality herbs to maintain the supply and demand of the consumer. We will continue to farm as a seasonal business and offer the same great experience at the Minneapolis Farmers Market that customers have grown accustomed to. We will have our Minnesota Grown potted herbs, fresh herbs and vegetables as we have for 32 years. Thank you for your understanding and continued support as we work toward a greener future.